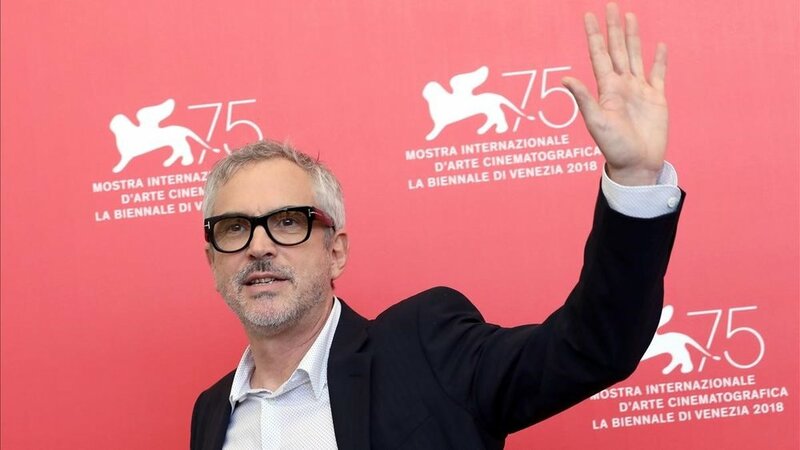 Mexican filmmaker Alfonso Cuarón had the world premiere of his most recent film Roma—after his 2013 Oscar-winning Gravity—as part of the official competition at the 75th edition of the Venice Film Festival today. Cuarón's film was received to near universal critical acclaim, with some critics hailing it as a masterpiece and the filmmaker's best film to date, as well as a standing ovation from the audience. The black and white film set in Mexico City in the early seventies, marks the cinematic return of the Cuarón to his homeland after his 2001 international hit Y Tu Mamá También. Starring Yalitza Aparicio and Marina de Tavira, Roma follows a middle-class family held together by Cleo, the domestic worker. She and Sofía, the family’s matriarch wrestle with changes in the family home while Mexico braces for a confrontation between the government-backed militia and student demonstrators. "A huge, technically stunning epic...A grand, epic tale on the scale of Gone With the Wind" writes Emily Yoshida in her Vulture review, while Times' Stephanie Zacharek called the film "extraordinary." "Cuarón is a superb craftsman... No one else is making movies like this today" she added. Roma received five-star reviews from the British newspapers The Guardian and The Telegraph. "The Oscar-winning director has made his best film yet" says Peter Bradshaw in his review for The Guardian, while The Telegraph's Robbie Collin called it "a sweeping and heart-quickeningly intimate period piece." "Cuarón has paid indelible homage to the Mexico he grew up in" says Owen Gleiberman writing for Variety, while Todd McCarthy writing for The Hollywood Reporter calls it "a memory film of unusual beauty... absolutely fresh, confident, surprising and rapturously beautiful." Cuarón's film will continue its film festival run this weekend with its North American premiere at the Telluride Film Festival, followed by Toronto and the New York film festivals. It will have a theatrical release later this year followed by its release on Netflix.